The Queens Hall, Narberth is a charity events venue located in Wales which welcomes a variety of events ranging from music to comedy shows. In addition, the venue hosts a range of classes including Pilates, art exhibitions and creative workshops throughout the week. The trustees of The Queens Hall would like to thank you for all of your support, whether it was attending a music event or one of our regular weekly activities taking place in the hall. 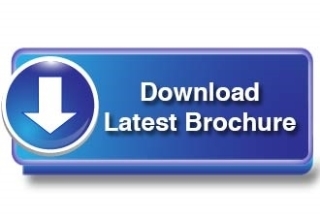 Download Our BrochureDownload our latest Brochure including our community events taking place at the hall throughout the week. This brochure is updated every month. Room HireThe main hall can accomodate 400 people.The stage features modular staging, modern 12K Line Array PA System and a vast lighting setup with dressing rooms backstage for performers. 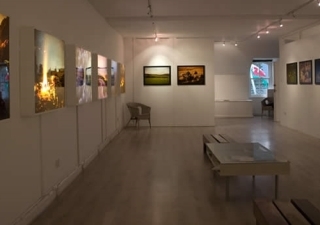 Orielq GalleryOriel Q Gallery is situated on the top floor of the Queens Hall and hosts a range of Art Exhibitions and also provides education and more to the local area. Win A KiaGravells Kia in Narberth have teamed up with the Queens Hall to give you the chance to WIN A KIA! As the organisation is a charity, the venue is operated and managed by a small team of part-time staff and is dependent on donations and grants. 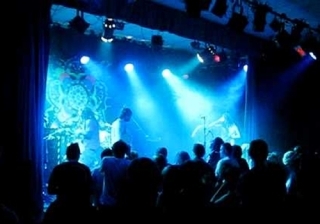 Over the years, the Queens Hall has achieved an exceptional reputation for being a premium event venue as a result of hosting an abundance of high-quality events with high-quality artists. An example of an outstanding artist that has performed at The Queens Hall is the multiple award-winning singer-songwriter, Ben Howard. With over 23 million views on just one of his YouTube videos, his songs are popular all over the world ("Ben Howard - Keep Your Head Up", 2017). Events such as this have been key to the success of the venue. The Charity is currently run by a small group of volunteer Trustees but we are now looking for more Trustees to join us and to enable us to continue with the legacy handed down back in 1958 and to help with new projects focused on improving the hall. No specific skills are required just a few hours a month, lots of enthusiasm and an interest in keeping the Hall at the heart of the community of Narberth and the local area.